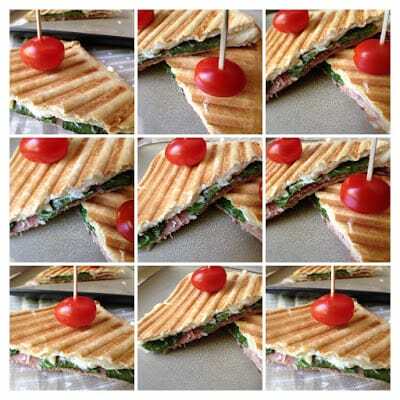 Panino; pl Panini [pah-NEE-noh; pah-NEE-nee] Italian for “small bread” referring to a sandwich or roll. Schwarzwald (“Black Forest”) Ham is super delicious. Black Forest Schinken is the authentic German answer to Italian prosciutto, made in the picturesque Black Forest, following traditional family recipes. Produced with carefully selected pork meat, hand salted and seasoned with various, authentic spices. 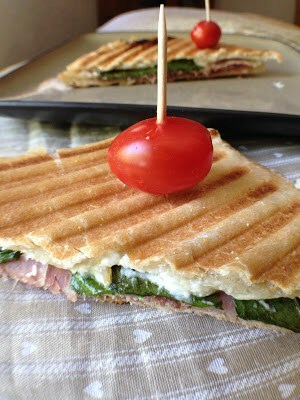 Cheese Spinach Ham Panini is super delicious. Black Forest Ham is cured for several weeks and smoked with Black Forest fir tree wood. Most Schinken is allowed to cure for 12 weeks but many German companies allow the Schinken to cure much longer, resulting in a superior Schinken of the highest quality. Black Forest Schinken is deliciously smokey with an enticing aroma. Spread both sides of the ciabatta roll with the honey goat cheese. 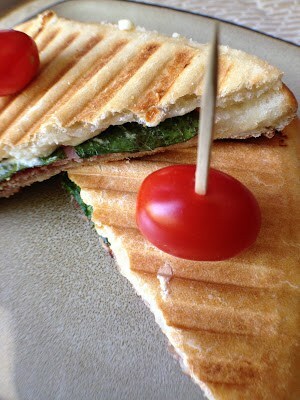 On one panini half, place spinach on top of the cheese. Top spinach with Black Forest Schinken. Top with mustard. 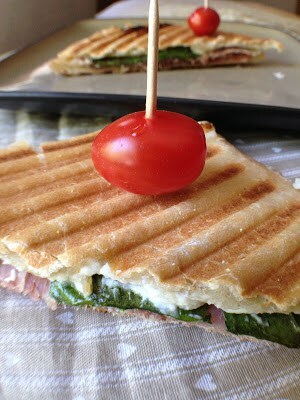 Using a panini press, lightly brown roll on both sides.